Natural Herbs For Hair growth and Thickness. Everyone wants hair that is gleaming with health, boosting in volume and look soft and lustrous. But in today’s environment there are several factors that do just the opposite. Stress, pollution, aging, food habits, nutritional deficiencies and many genetic issues cause hair fall that is irreparable. But there are many natural ways and means to get back the hair of your dreams without doing much. A regular application of herbs helps getting stronger and shinier hair. Herbs are loaded with minerals and vitamins that are essential for healthy growth of hair cells and follicles. Easily available Herbs / medicinal plants for hair growth include Indian gooseberry or Amla, fenugreek, aloe vera, Licorice, beetroot, coconut and many others that are anti-inflammatory, anti-oxidants and anti-bacterial in nature and help keep off the free radicals and other germs. Let’s see in detail about various ways go get herbal treatment for hair. Being rich in vitamin C, amla helps restore hair follicles and make them grow long. It is one of the best herbs for hair. It is also known for its exfoliating properties and help get rid of dead hair cells, making way for growth of new ones. Amla is anti-inflammatory and hence keeps dandruff at bay. Dandruff is one of the major causes of hair fall among youth. 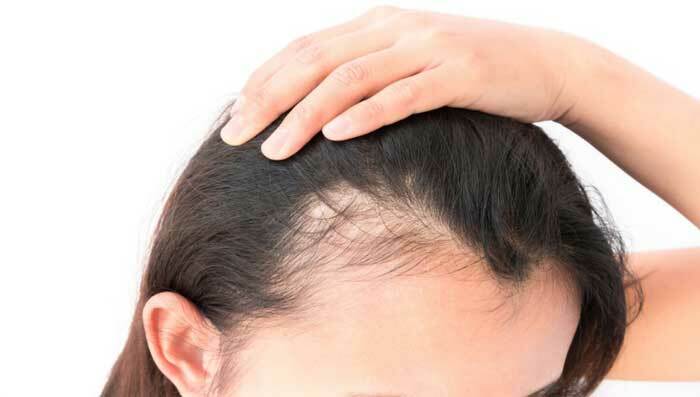 There are many homemade oils and hair masks one can churn out easily using amla and other kitchen ingredients that are sure shot ways to get rid of hair loss permanently. Fenugreek or methi is another widely used and a popular herb that helps curb hair problems, especially those related with hair fall and breakage. It helps in blood circulation of the scalp; cleaning and making it germ free making it one of the best natural herbs for hair growth. Since fenugreek is very popular among Indian households, it can be used with various other natural ingredients to make a perfect hair mask. Apart from beautifying the skin, aloe vera can also considered to be one of the best herbs for hair loss. Aloe vera can be easily teamed up with many other ingredients to make popular and effective hair masks that help in reducing hair fall drastically. The best herbal remedies for hair loss include licorice with its soothing properties that help in keeping the hair cells and follicles clean so that they grow in a healthy manner. Licorice can either be used in a hair mask or consumed directly in order to change the quality and texture of your hair. It is one of the most prevailing herbs for hair re-growth. Rosemary can be teamed up with various ingredients to form simple homemade masks for boosting hair growth. Neem is one of the best herbal medicines for hair loss. Neem can be used in many ways to boost hair health and get rid of falling strands. Curry leaves is one of the most frequently used herbal treatment for hair fall as they nourish the scalp and strengthen hair roots. Curry leaves can be used in many ways to make simple and quick remedies for boosting hair health. Basil or tulsi is found in almost all Indian households. It is one of the best herbs for hair growth and thickness. Tulsi can also be combined easily with many other ingredients to work like magic for soft, smooth and stronger hair. Ginger fights of hair dullness and helps boost hair health, stopping hair fall completely. Using ginger as one of the best herbal treatment for hair fall, it can completely cure hair loss and baldness when used regularly. Ginger can easily be combined with any essential oil and used for stopping hair fall. Lemon grass strengthens the hair roots making them bouncy and thick and is one the most widely used Indian herbs for hair growth.